October 16, 2011 · by Zack & Katie · Post may contain affiliate links. See my disclosure policy here. 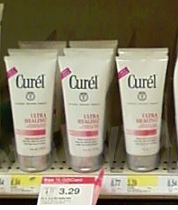 Target is having an unadvertised deal on Curel products! - Moneymaker when 2 coupons are used! Even bigger if you can use 4!